Artist Ptolemy Elrington sees hub caps differently as compared to the rest of us. While we see accessories that make our wheels looks better, he sees tools that can be converted into masterful art pieces. 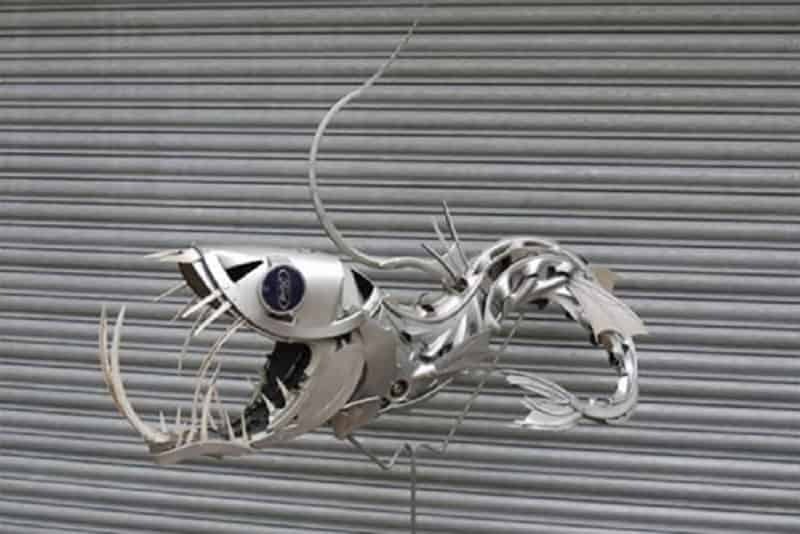 He is an extremely talented artist who converts hub cap parts into stunning works, usually paying tribute to animals. He has created many beautiful pieces so far and this list features 10 of his best works featuring nothing but hub caps. 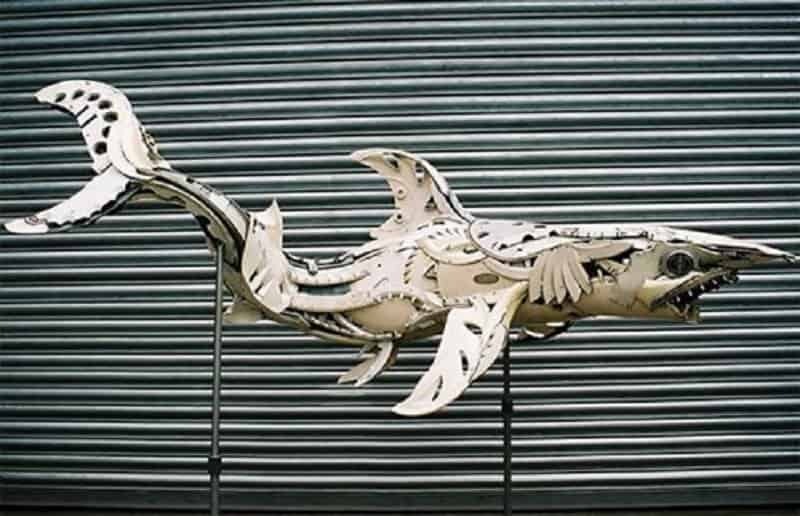 This is the artist’s take of a shark in motion. 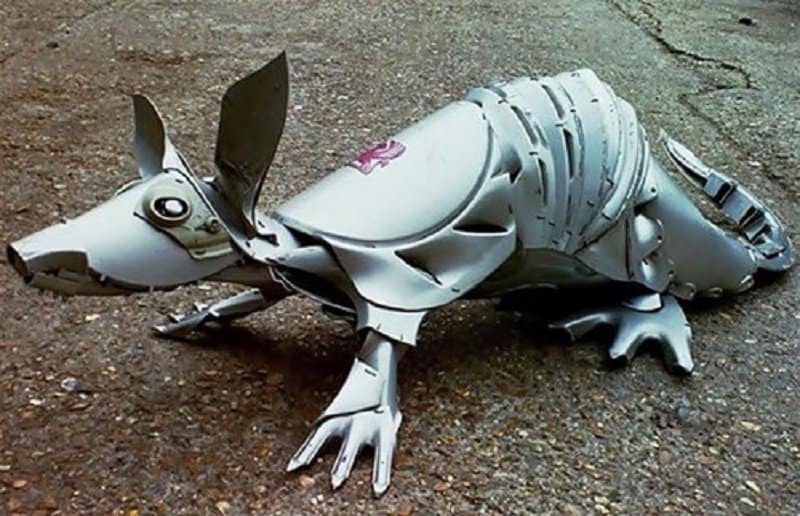 Armadillos are naturally complex animals with a unique structure. This is accentuated when recreated using hub caps. 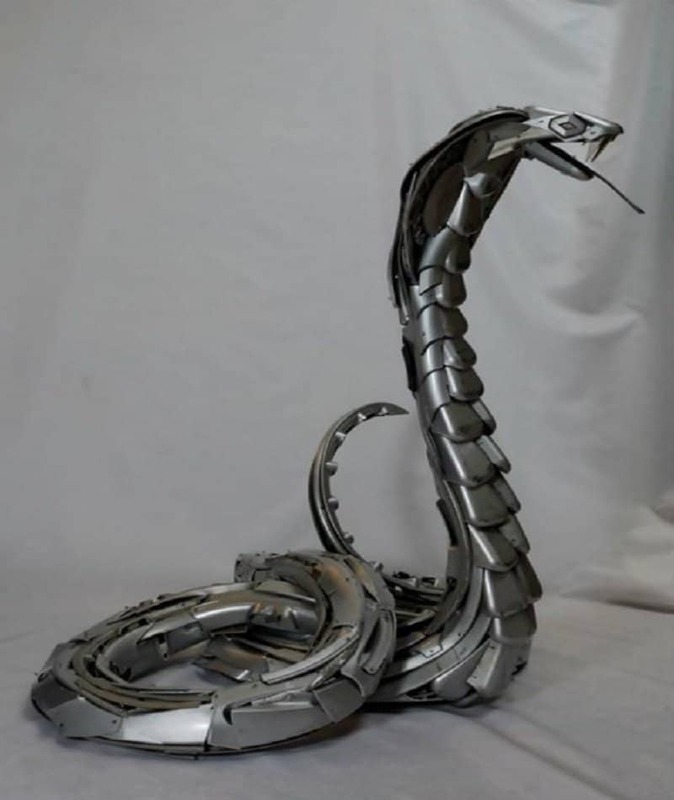 Cobras are intimidating creatures, even when you are looking at their hub cap form. Some may argue that a good car is a man’s best friend. 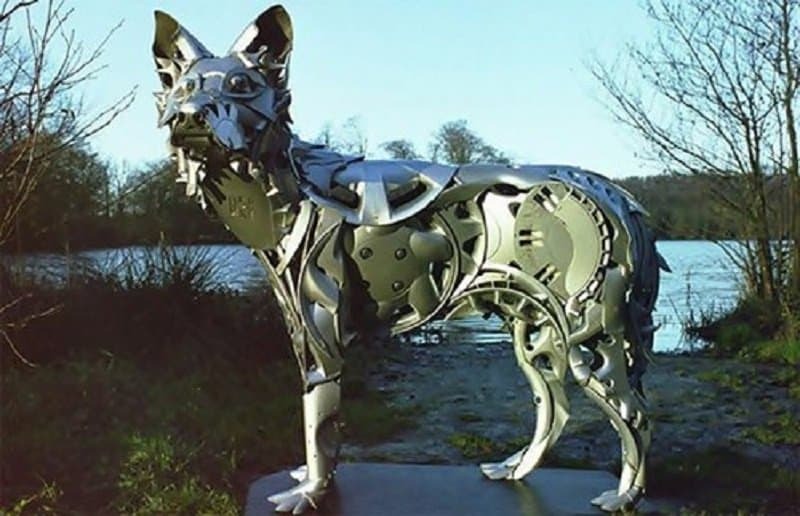 This piece of art brings both dog and machine together. This is a less flattering version of a dog. 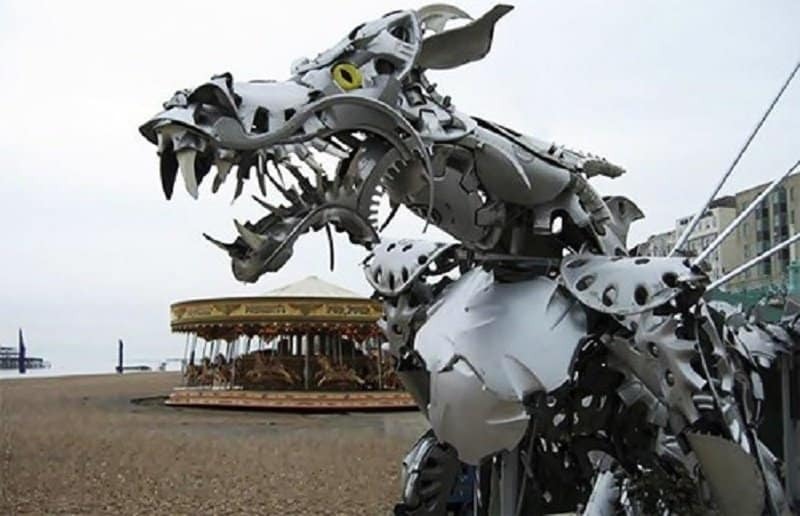 It actually looks like a cross between a dog and a dragon. This is probably what the exoskeleton of a piranha actually looks like. 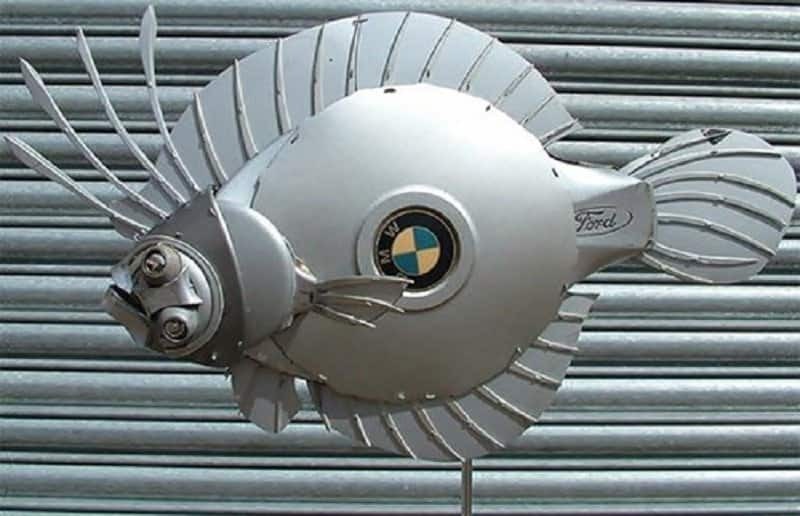 No prizes for guessing which brand of cars this fish prefers. 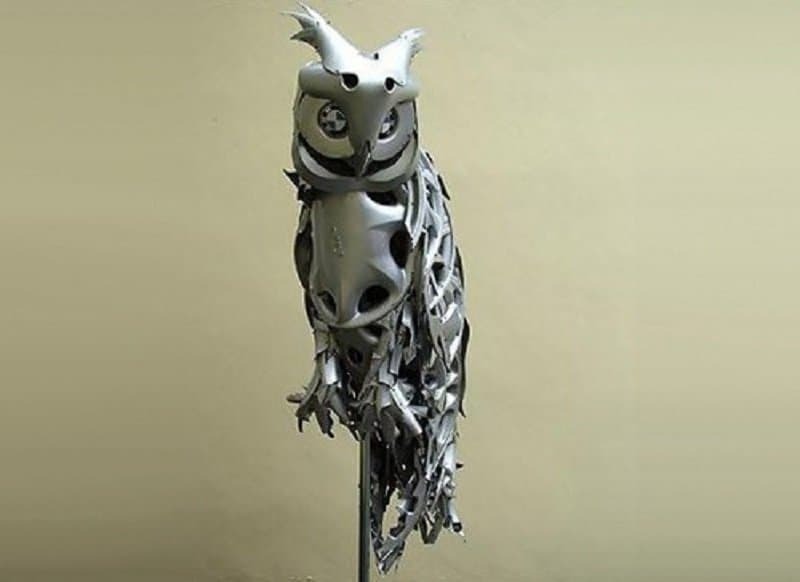 This is an absolutely brilliant recreation of an owl, right down to the patterns on its wings. 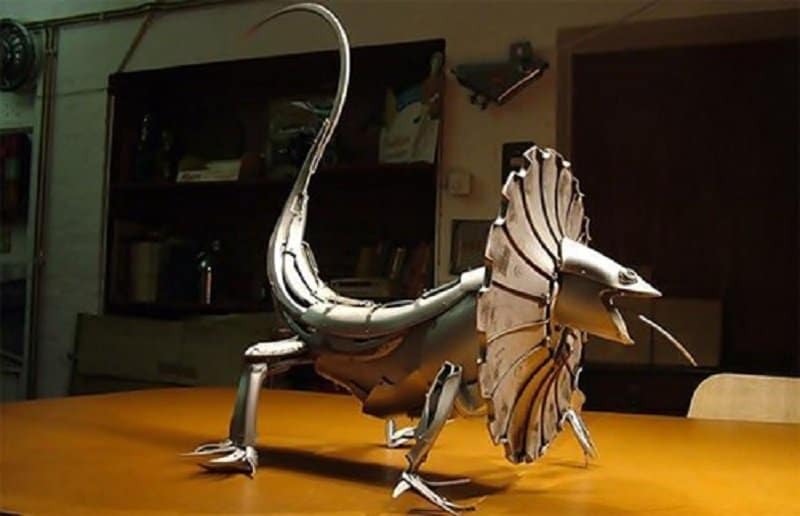 This is a beautiful piece featuring a very angry lizard. 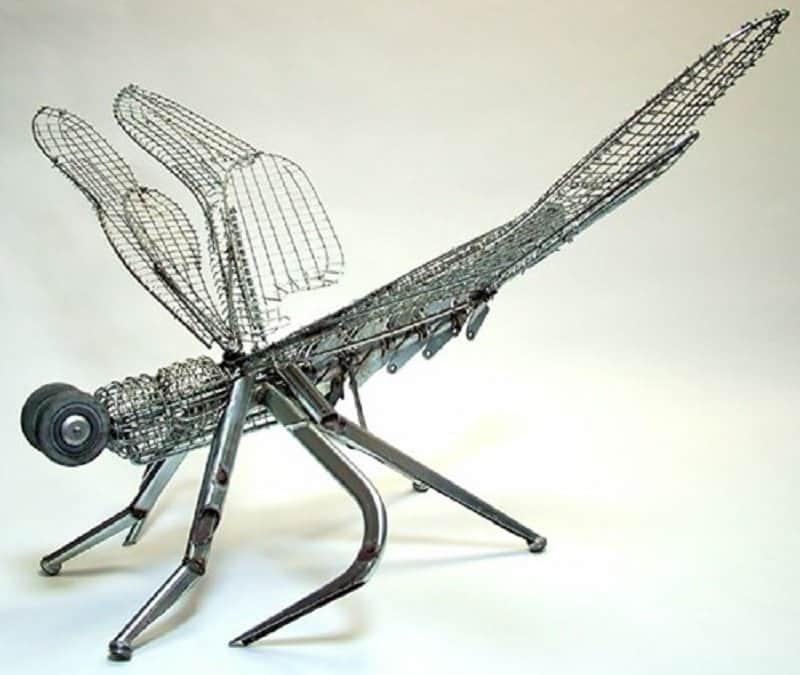 This stunning recreation of a dragon fly is truly masterful. The textures seen on its back and wings requires an absolute mastery of attention to detail.